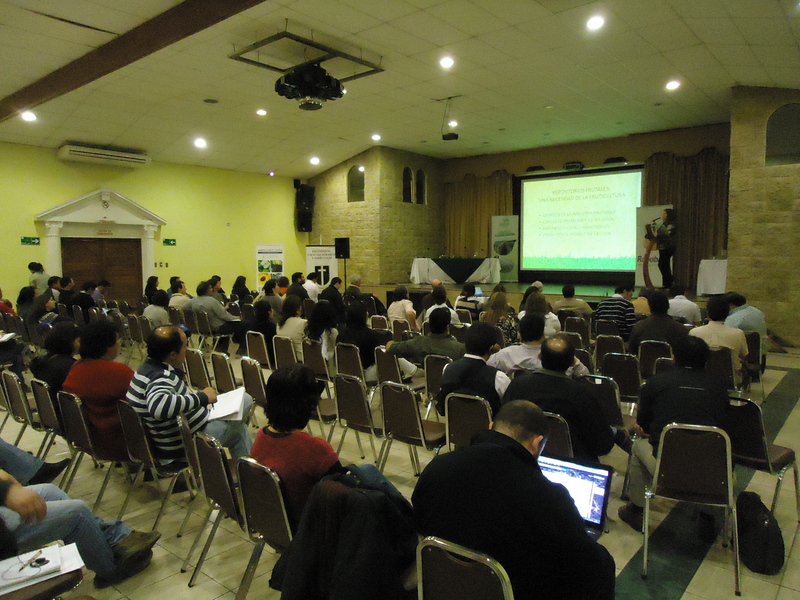 The purpose of the symposium was to advance horticultural plant propagation in Chile and learn from international experiences. 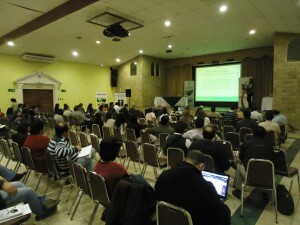 It focussed on the certification of businesses and plant products to improve the competitiveness of the Chilean industry. The symposium featured a number of sessions that ranged from irrigation management through to crown gall and its management in nurseries and vineyards. Dr Kachenko’s presentation on behalf of the Australian nursery industry provided symposium delegates with an overview of the Australian production environment and the role of NGIA with regards to research, development and extension activities. His presentation also discussed the Nursery Production Farm Management System (FMS) and how the Australian industry is working with the Australian Government to see the Nursery Production FMS accepted as a legalised market access instrument. Dr Kachenko informed the audience that this co-regulatory approach would provide Australian nurseries with greater flexibility with plant shipments forgoing the need for businesses to schedule an inspection with Plant Health Inspectors and wait for an inspector to look at the plants. It would also save businesses thousands of dollars in associated fees and charges. The audience were most impressed with the versatility of the Nursery Production FMS and the opportunities it provided growers. In addition the symposium, Dr Kachenko met with the Chilean Department of Agriculture and Livestock Services (SAG) to exchange and transfer ideas about the Nursery Production FMS and certification programs in general. Interestingly, in Chile, all businesses must be registered to propagate plants. This is seen by the SAG as a sound mechanism to protect the industry from exotic pests and facilitate tractability of nursery stock. A similar approach by the Australian Government would be of great benefit the Australian nursery industry. Dr Kachenko also visited researchers from the Faculty of Agricultural Sciences and Forestry at the Catholic University of Maule in Talca. Dr Rolando García González from the University explained the key research areas which included propagation and understanding the phenology of Chilean blueberry varieties, leaf propagation of eucalypts and the development of protocols for indexing fruit plants for viruses. The university is also investigating bioplastics, using key strains of bacteria and had a commercial tissue culture facility. Dr Kachenko also visited several nurseries specialising in fruit production, including Biotecnia Viveros, Los Olmos, Parlier Viveros and Univiveros. In general, these nurseries exhibit sound production systems, have modest levels of mechanisation and produce quality and consistent products. It appears the business footprint with regards to environmental issues less a priority amongst these nurseries. For example, with a plentiful supply of water from the nearby Andes Mountains, water recycling was not evident. Correct irrigation management was also lacking, despite several growers indicating that adequate water supplies was becoming a key issue. Similarly, rising input costs was raised as an important issue among several growers. Indeed, these issues are common between both countries. In summary, the delegates met during Dr Kachenko’s visit to Chile, including the Chilean Fruit Nurseries Association, were impressed with the expansive suite of Australian industry tools and resources, particularly the Nursery Production FMS, to assist in decision making within the production environment. They saw great value in the delivery of these resources through the Australian nursery pot levy and indicated that they would seek to work more closely with the Chilean government to develop a similar structured approach to research, development and extension programs. This exchange will ensure closer ties between the Australian and Chilean nursery industries into the future. Thanks and acknowledgement to the symposium organisers for sponsoring Dr Kachenko’s visit to Chile and to the NGIA board for endorsing the trip.